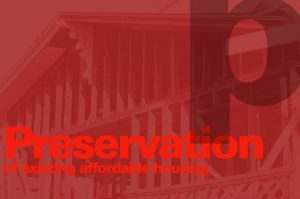 A number of measures exist to protect tenants from the myriad issues they may face in a housing crisis, and which we explore on this website—from skyrocketing rents to unsafe housing conditions to displacement. The most prominent of these are: rent control, rent stabilization, just cause eviction protections, and support services for tenants, such as legal aid and rental assistance. Of these rent control, stabilization, and eviction protection—which we'll refer to collectively as rent regulations—are seeing a resurgence of interest, as well as debate and research. As Pastor et al note, "Evidence on the impacts of these more moderate rent regimes is more mixed than older economics textbooks might indicate." Many of these economic analyses, referencing earlier laws, are premised on the assumption that regulations create a "price ceiling," which generally they no longer do. In addition, economic analyses are often narrowly framed, disregarding the broader policy contexts in which local rent laws are situated. For instance, a recent, oft-cited Stanford study on rent control in San Francisco suggests that local regulations lead landlords to take units off the market through condo conversion or owner move-in evictions, thus causing gentrification. Yet these reactions are themselves enabled by California laws from the 1990s— the Ellis Act and Costa Hawkins— that created loopholes for landlords to circumvent rent regulations in precisely these ways. Further, other studies show that gentrification can be caused by the elimination of rent control. 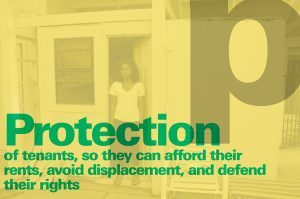 Where there is greater consensus, including among economists and scholars in public policy and planning, is that tenant protections are successful in achieving their primary goal of stabilizing communities and mitigating displacement. Rent regulations are not means-tested, and so are something of a "blunt instrument" in allocating these affordable housing resources. Nonetheless, profiles of rent controlled tenants in California show that they reflect the profile of the state's tenants in general, disproportionately including low income residents and people of color, as well as vulnerable populations like seniors and people with disabilities. This increased renter stability —like stability for homeowners—has broad social, economic, and environmental benefits. There are costs associated with stability: less turnover means profits from real estate increase more slowly and fewer people can move into existing housing. On the other hand, increased stability also means schools can retain teachers, public health outcomes are enhanced, residents have more income to spend locally, small businesses can hire the workers they need to stay afloat, and more people can afford to live near their jobs, reducing traffic and greenhouse gas emissions. Meanwhile, other policies can address increasing the supply of housing for newcomers or those un-housed. Under today's moderate rent regulations, landlords can continue to make a fair and predictable return on investment, by law, while also receiving pro-bono legal aid from rent boards. Many landlords understandably remain opposed —to added bureaucracy, fees, and a shift in the power dynamic between them and their tenants. But for others, these costs are outweighed by the benefits of regulations to the community, and the fact that they can continue to prosper. Hence, support for rent regulation in California has been growing not only among tenants, but also among homeowners, landlords, and real estate professionals. What are: rent control, rent review boards, and just cause eviction protection? Among "second generation" laws, the California Tenants’ Rights guide distinguishes further between “weak" and "moderate-to-strict" rent control laws. The former allow landlords to raise the rent generously, even above the fixed amount, unless a tenant protests to a rent board, and does not require landlords register units with the city. The latter require the landlord to “bear the burden of petitioning the rent board for an above-formula rent increase and of justifying the need for such an increase based on certain cost factors listed in the ordinance,” include a just cause evictions ordinance, and require landlords to register units with the city. See Janet Portman and David W. Brown, California Tenants’ Rights. Berkeley: Nolo Press, 2013 (19th edition). For analysis of these different types of laws in the Bay Area, see Mitchell Crispell, “Policy Brief: Rent Control in the Bay Area.” Berkeley, CA: University of California Urban Displacement Project, February 2016. For discussion of second generation laws in California and the U.S. more broadly, see Dennis Keating, “Rent Control in California: Responding to the Housing Crisis.” Berkeley: Regents of the University of California, California Policy Seminar, No 16, 1983 and Dennis Keating, Michael B. Teitz, and Andrejs Skaburskis. Rent Control: Regulation and the Rental Housing Market (New Brunswick: Center for Urban Policy Research, 1998). Rebecca Diamond, Tim McQuade, and Franklin Qian, “The Effects of Rent Control Expansion on Tenants, Landlords, and Inequality: Evidence from San Francisco.” Working Paper 24181. NBER. Working Paper Series. Cambridge, MA: National Bureau of Economic Research.2018. www.nber.org/papers/w24181. See e.g. : Crispell, 2016; Diamond et al. 2018; Pastor et al. 2018;Nicole Montojo,Stephen Barton, and Eli Moore, “Opening the Door for Rent Control: Toward a Comprehensive Approach to Protecting California's Renters.” UC Berkeley: Haas Institute, 2018.; Leslie Gordon, “Strengthening Communities through Rent Control: Case Studies from Berkeley, Santa Monica, and Richmond.” Oakland: Urban Habitat, January 2018. 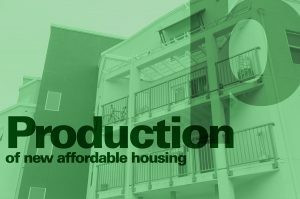 See Tony Roshan Samara et al., "Rise of the Renter Nation: Solutions to the Housing Affordability Crisis". Homes for All, June 2014.